They gather around the table, these three girls of mine. It’s the thing that pulls us together in the morning—a spread of mismatched china plates, usually bearing artfully arranged finger foods. There is always some sort of fruit, and often there are cucumber slices and carrots, crackers and cheese, kielbasa and treats. Sometimes I gently lay a soft blue tablecloth over the table and pull out my grandmother’s tea things. Other times, it’s worn wood-grain scarred with love and plastic cups of cold milk. But always, there is food. Before we pull out school work, we start with a devotional—right now, Wisdom and the Millers. Then we pray. Sometimes, we’ll turn to Pray for the World: A New Prayer Resource from Operation World and select a country to lift up in prayer. Always, we pray for the day ahead and the needs of those we love. We follow that with poetry. Our favourite book is A Child’s Book of Poems, curated by Gyo Fujikawa. It’s filled with a beautiful combination of classic and modern poetry alongside gorgeous illustrations. And then? It’s story time. We choose from an array of beautiful picture books. Our favourites include: One Morning in Maine, Make Way for Ducklings, Library Lion, Roxaboxen and Miss Rumphius. Sometimes, we’ll read a selection from Aesop’s Fables for Children or Hans Andersen’s Fairy Tales. Depending on our focus that week, we’ll also incorporate history, geography and science. These are subjects that we do together, so lessons are taught while we are still gathered and supplemented with storybooks and hands-on activities. There are hard days—days where Morning Time is the only thing keeping me from throwing in the towel on this homeschooling thing. No matter how crazy life gets, when wills clash and patience is lost, I would be hard pressed to give up these special moments around the table each day. These moments are where we meet at the Cross together, where grace seeps into our brokenness. Morning Time quiets our hearts. Morning Time has different names and looks different for different people. It doesn’t have to take place around the dining room table. It doesn’t have to include treats or fairy tales. It doesn’t have to happen every day. It doesn’t even have to take place in the morning. The art of Morning Time is in gathering to share beauty and truth together. The art of Morning Time is finding something that brings you together, knitting your heart to the Saviour’s heart. 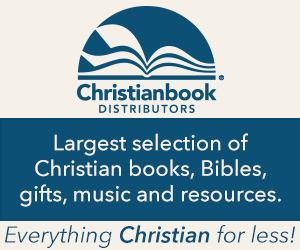 Please note that as an affiliate of The Christianbook Group, some of the links are affiliate links. This means that, should you click on one of those particular links and make a purchase, I will earn a small commission at absolutely no cost to you. What a lovely family setting each morning & such a precious time together! I applaud your persistence in home schooling…Not an easy task to do! You’re most welcome to drop by for a cuppa anytime!